Bring me back to a time where my eyes saw only good and my heart was in total acceptance of the purity that lie in all around me. Oh when did my senses taste the first tears of disappointment? Look, look at my cuts, self inflicted, I don’t think so..
You’ve pushed into my wounds the salt of hurt. I am conditioned by the drama. My subconscious, although hidden, is not so subtle in its influential paradigms of confusing, emotionally stimulation interruptions. My subconscious holds so fresh i can smell the drama on my skin.. like a new, yet familiar encounter. Its more of a soul-jerking alertness. I have been robbed of a freedom which my mind once took me to. I’m trying to convince myself..
A mental reassurance that all will be ok.
And then.. only one thing is certain though. 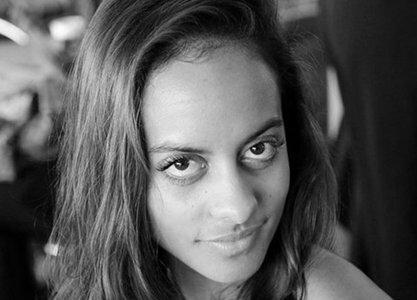 Marce is a poet and classically trained singer from Cape Town, South Africa. Some of her poetry has been published in Sugar and Spice, a South African Anthology. She is aslo a member of a trio called Project Escape, which fuses poetry and music.